Air Hockey has been around for nearly a half a century and has quickly become one of America’s most iconic table games. Whether you were rocking out to The Rolling Stones or hitting the dance floor to the Bee Gees, you were also knocking some pucks around on the air hockey table. 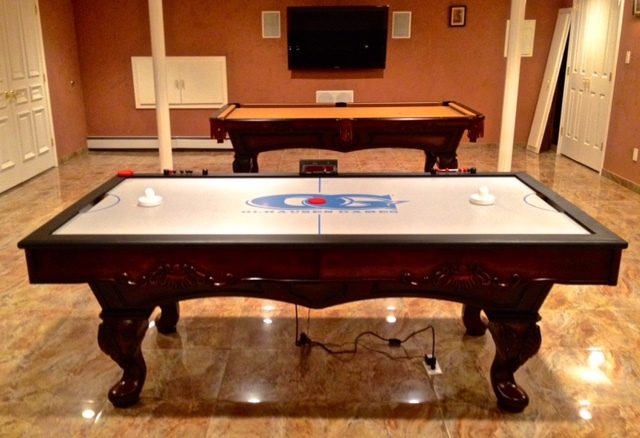 Now you can relive these moments with your family with an air hockey table or custom air hockey table of your own from Century Billiards and Game Room in your New York place of residence. When you would go to the arcade, there was nothing better than challenging your friends to a game of air hockey. The only problem was how long the wait was to get on the table to play. Even when an arcade would have more than one air hockey table, you would still have to wait a while before it would be your turn. Today, air hockey is becoming bigger than it ever was. There are air hockey tournaments that are played annually with nationally ranked air hockey players which prove how much the game has grown since its existence. With a Century Billiards and Game Room air hockey table, you would be able to sharpen your skills and become the number one ranked player in your own New York household! 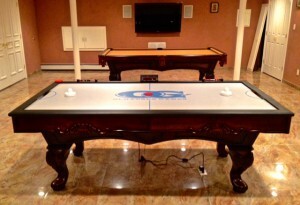 While retail stores sell air hockey tables, they can’t offer the same high quality and customization options that Century Billiards and Game Room can. 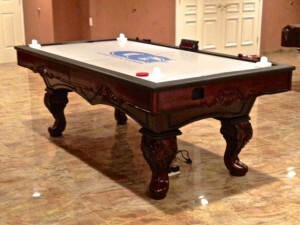 We have several different types of authentic air hockey tables, including custom air hockey tables that will look great next to your matching Century Billiard’s pool table in your game room! 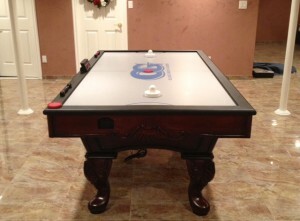 We can custom build an air hockey table that will fit perfectly with your home décor and interior design or pre-existing pool table. Even though air hockey has evolved throughout the years, nothing beats the timeless classic of one on one action with your friends and family. 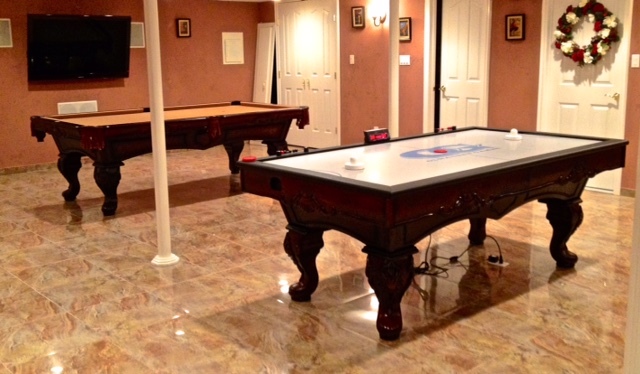 So contact us to schedule a consultation and check out some of our air hockey tables below!